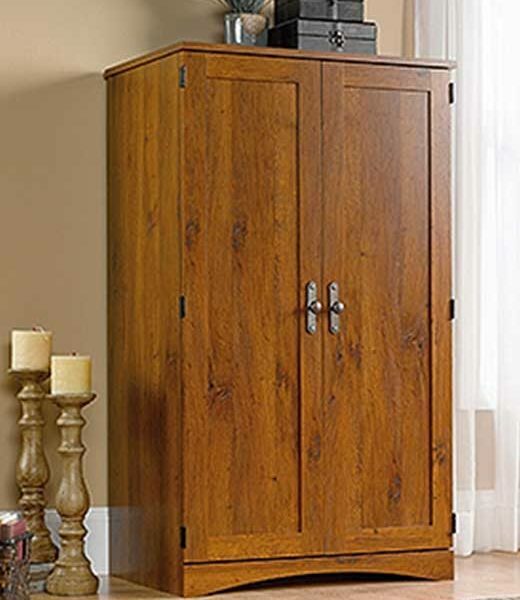 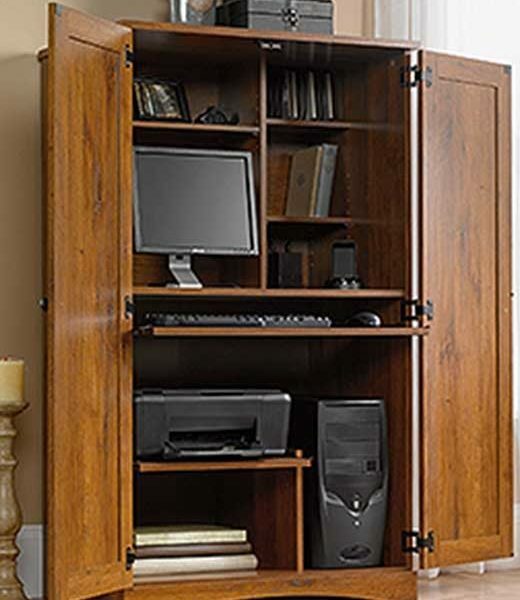 The space-saving cabinet in this computer armoire conceals monitor, printer, CPU, speakers, and CDs. 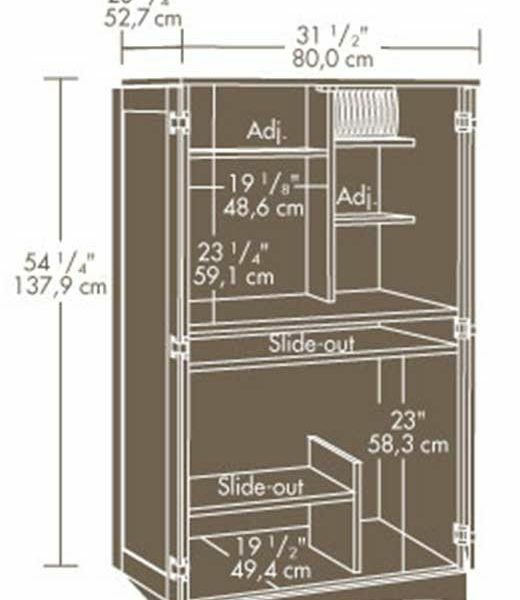 Slide-out keyboard/mouse shelf and printer shelf with metal runners and safety stops. 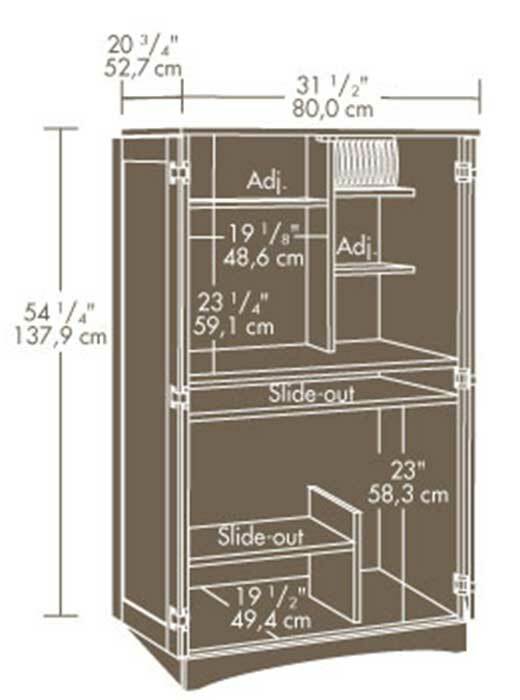 Dedicated storage area accommodates vertical CPU tower. 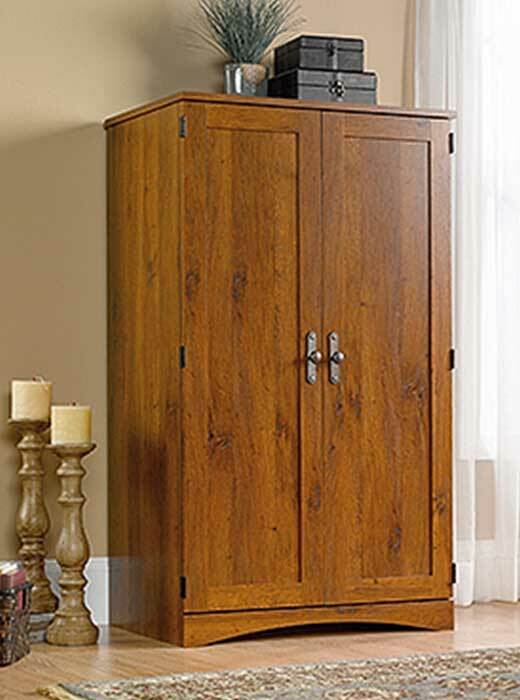 Horizontal rack holds 14 CDs. 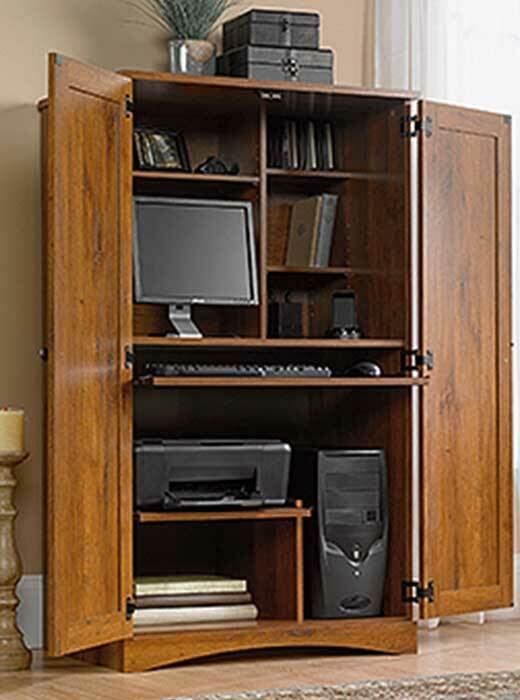 Two adjustable shelves provide versatile storage options.